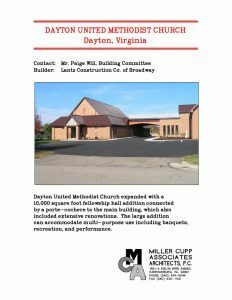 Dayton United Methodist Church – Miller Cupp Associates, Architects, P.C. 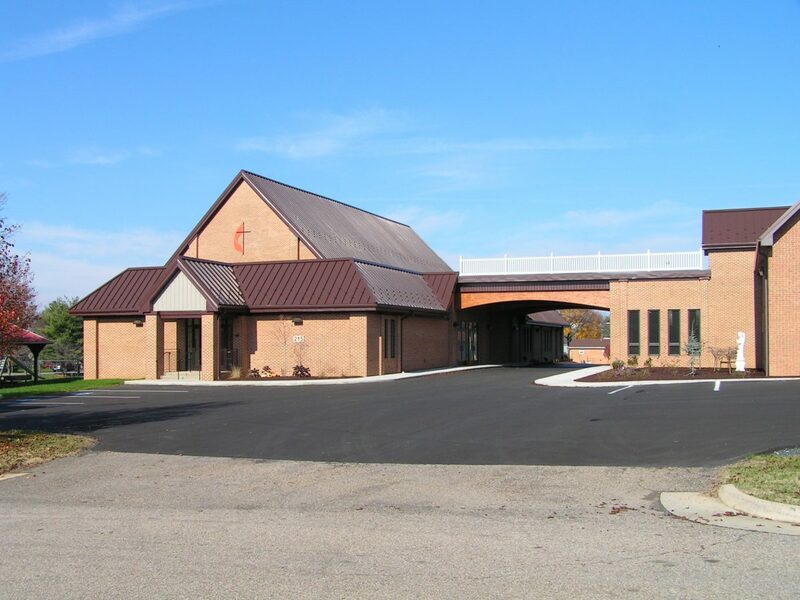 Dayton United Methodist Church expanded with a 10,000 square foot fellowship hall addition connected by a porte-cochere to the main building, which also included extensive renovations. The large addition can accommodate multi-purpose use including banquets, recreation, and performance.